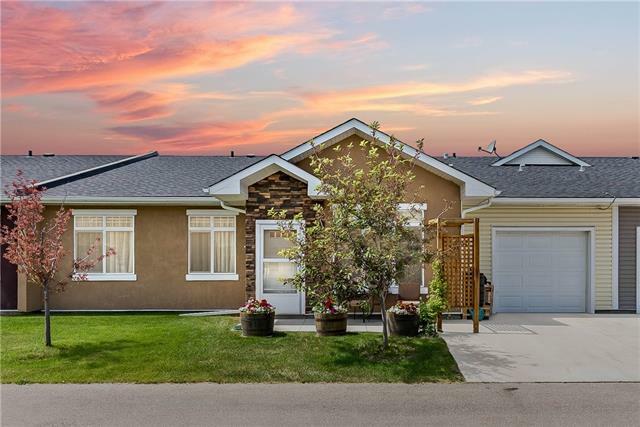 Whether you are looking for a community to live in year round or just need a lock-n-leave property because you spend the winters somewhere warm, this may be the perfect retirement villa for you. 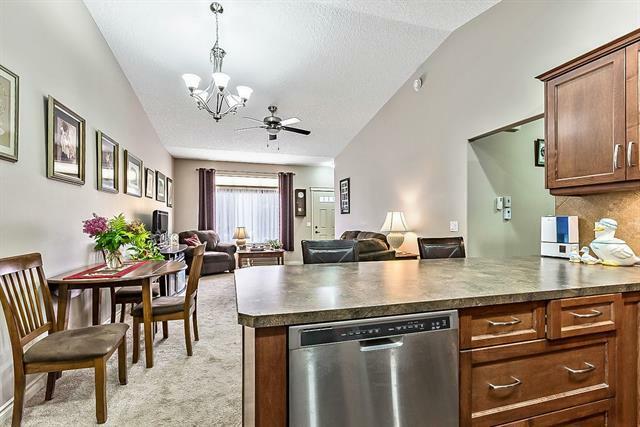 The main floor is open concept with carpeted living area that is large enough for family gatherings. 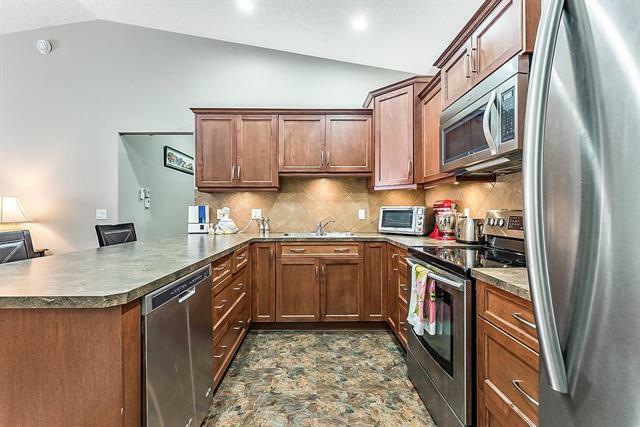 The kitchen has stainless steel appliances including a space saving over-the-range microwave oven with a breakfast bar that is suitable for casual dining. A custom feature of this home is the den with built in cabinets located adjacent to the bedrooms. 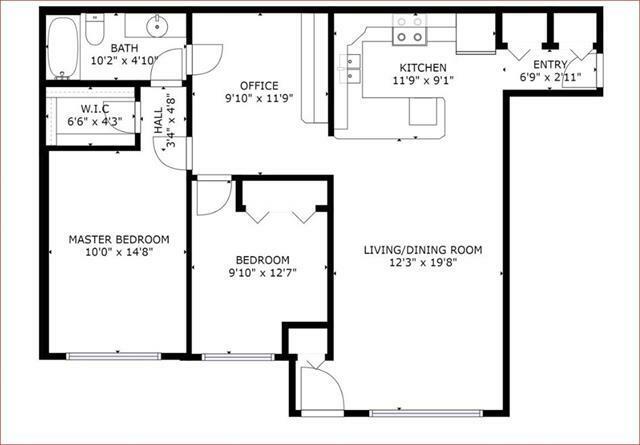 Both bedrooms are a generous size and one has a walk-in closet. The main 4 piece bathroom has a maintenance free tub and a large vanity with lots of drawers. Plenty of additional storage within the unit. This bungalow is built on grade (no basement) and has infloor heating which helps maintain a consistence temperature in the cooler months. Fast possession possible.